Cooke Aquaculture Pacific is today due to testify in opposition to legislation proposing a ban on its salmon farming operations in Washington state in the western US. 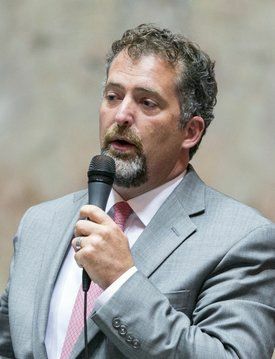 Kevin Ranker, a member of the state senate, has sponsored a Bill which would prevent the state granting new leases or renewing existing leases for the farming of Atlantic salmon or other non-native species in Puget Sound. 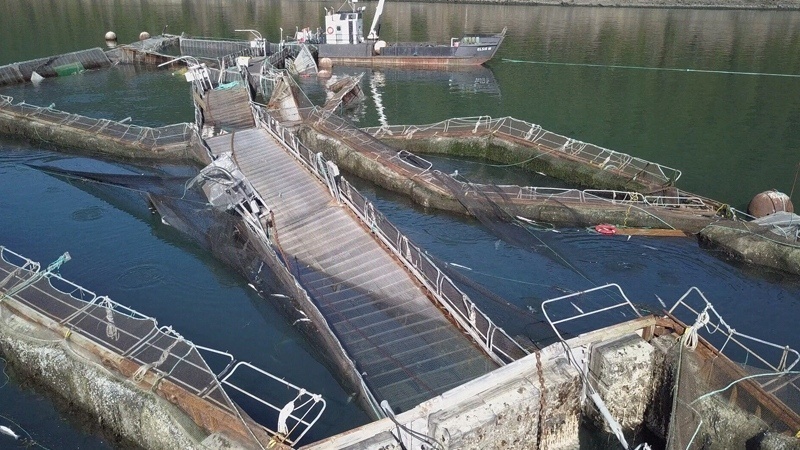 The Democrat senator's move follows the collapse of a Cooke salmon farm at Cypress Island last August, leading to the release of more than 100,000 4.5kg Atlantic salmon. Cooke had acquired two farms at Cypress Island from Icicle Seafoods in 2016, along with six other farms at three other sites in Puget Sound - Port Angeles, Hope Island and Rich Passage. 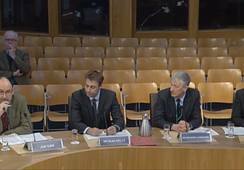 Cooke, which also farms salmon in Scotland, Atlantic Canada, the US state of Maine, and Chile, will present its testimony at a public hearing in the Senate Agriculture, Water, Natural Resources & Parks Committee today. Employees who have worked at the salmon farms for decades will also be there to give their views. “The incident at our Cypress Island farm over the summer was certainly regrettable, and we are doing all we can as a company to take responsibility and address it,” said public relations chief Joel Richardson. He said all fish recovered from the incident had empty stomachs as they had not developed the instinct to forage and compete with native stock for food. They were not sexually mature and cannot reproduce in the wild. Joel Richardson: Ban would be "draconian". 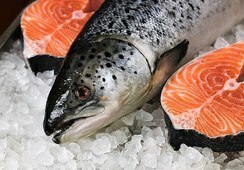 The company pointed out that more than eight million Atlantic salmon have been released intentionally by government agencies in Canada and the United States over the past century to try and establish Atlantic salmon on the West Coast, and all of those efforts have failed. “Rushing to ban a legal business operation that provides a sustainable and affordable source of locally-grown protein, represents tens of millions of dollars of investment in the state and has provided good, family-wage jobs in rural Puget Sound for over 30 years would be a draconian response and a very unfortunate mistake,” said Richardson. Richardson said Ranker's Bill would effectively end the ability of Cooke to continue its existing operations, which currently employ more than 80 individuals directly and support 100 more workers on harvesting boats and in processing plants, representing an investment valued at more than $70 million into Washington’s economy, with plans for additional multi-million-dollar capital investments. 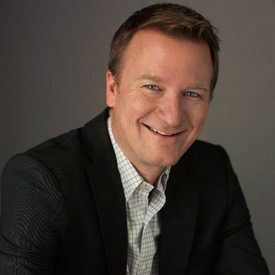 In a statement, Cooke said that in the past, Ranker has denounced what he has characterised as a prioritisation of stakeholder interests over sound science. Richardson said Cooke is supportive of other legislative approaches including a review of all existing aquaculture regulations, regular inspections of net-pen facilities, and a local academic study of net-pen aquaculture and its impacts on the ecology. “We are prepared to put forth suggestions for best regulatory practices that have worked in other states like Maine and in locations all around the world,” said Richardson. 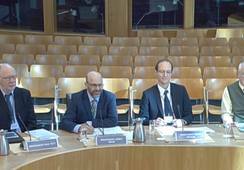 “Cooke has offered to help fund a scientific review of net pen aquaculture and the impacts of accidental escapes. "And Cooke is willing to explore ways to help the State improve native fish runs and augment state and tribal hatchery operations. We’ve been in Washington state for a little over a year now, but our company is one of the best in the world when it comes to both, and we want to share our experience and expertise to ensure that Puget Sound waters continue to have fish for tribes and commercial fisheries to fish for generations to come.” He said banning Cooke’s ability to continue its operations forecloses these possibilities. Ranker's Bill is not the only problem facing Cooke in Washington. Last week the Canadian-based company launched a legal challenge against a decision by Washington's Commissioner of Public Lands, Hilary Franz, to terminate the lease on its Port Angeles facility. And last month Cooke fined $8,000 by the Washington Department of Ecology for repeatedly polluting the water at its Rich Passage net fish pen facility.